BMW's iNext will be the automaker's electric and self-driving flagship, launching in 2021. 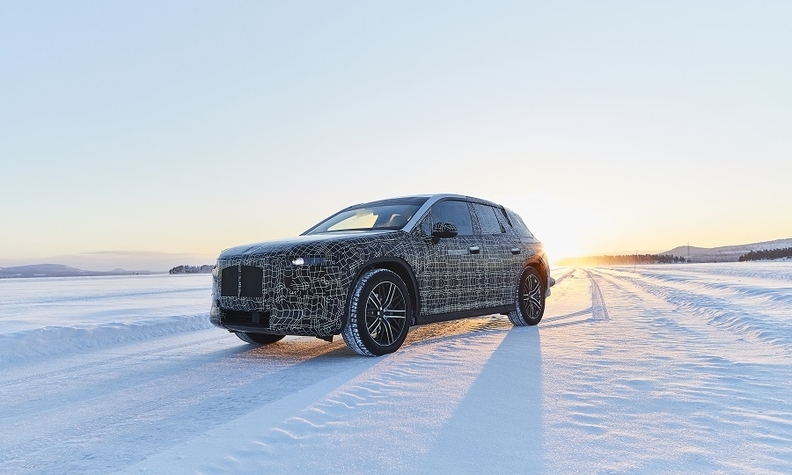 The crossover is seen winter testing in Sweden. FRANKFURT -- BMW and Mercedes-Benz owner Daimler are in talks to cooperate in developing vehicle platforms for electric cars in a step that could save each automaker at least 7 billion euros ($7.91 billion), Sueddeutsche Zeitung and Auto Bild reported. The two companies already have a joint procurement program and recently extended their cooperation to include development of advanced driver assistance systems and mobility services. Auto Bild said Daimler and BMW are in talks over whether to share engineering costs for compact and midsize cars, which are designed to be "electric first," but also have the capability of using conventional powertrains. BMW and Daimler would save 7 billion euros each, over a period of seven years, the magazine said. The talks over whether to cooperate on vehicle platforms could still fall apart, Sueddeutsche and Auto Bild said. Both automakers have acknowledged cooperation talks which include sharing engineering costs for driverless cars, but BMW and Daimler have repeatedly declined to comment on whether their cooperation could include entire vehicle platforms. BMW's finance chief said in November he was open to deeper collaboration with Daimler but said it was difficult to identify win-win opportunities in the area of shared vehicle platforms.